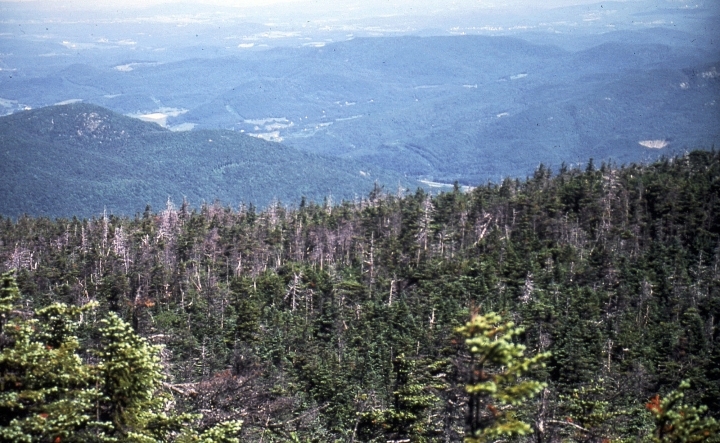 STOWE, Vt. — The gray trunks of red spruce trees killed by acid rain once heavily scarred the mountain forests of the Northeast. 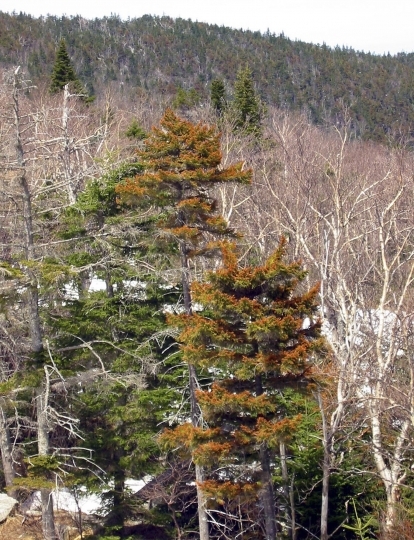 Now those forests are mostly green, with the crowns of red spruce peeking out of the canopy and saplings thriving below. 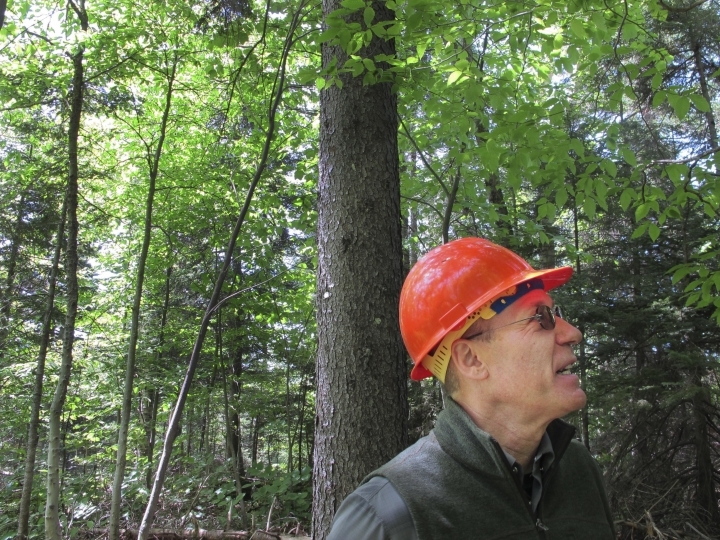 In the 1960s through the 1980s, pollution — mostly from coal-powered plants in the Midwest and car emissions carried by the wind and deposited as acidic rain, snow and fog — devastated Northeast forests and lakes, leaching nutrients from soil and killing aquatic life. 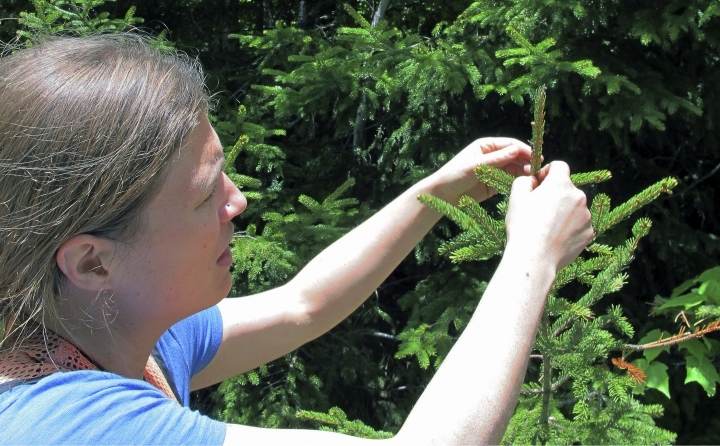 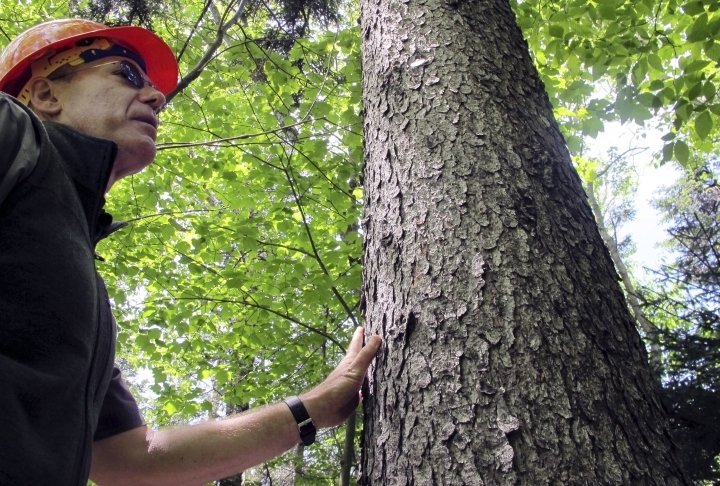 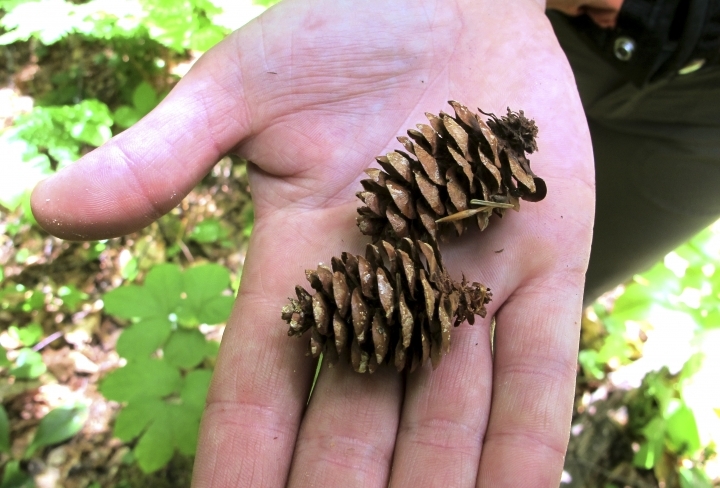 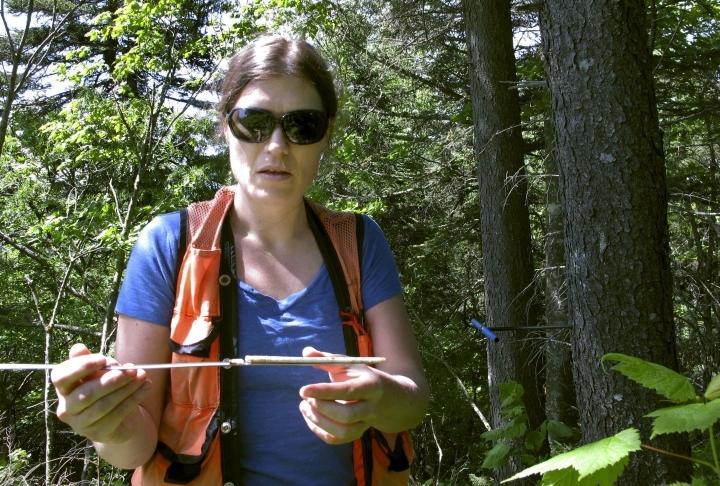 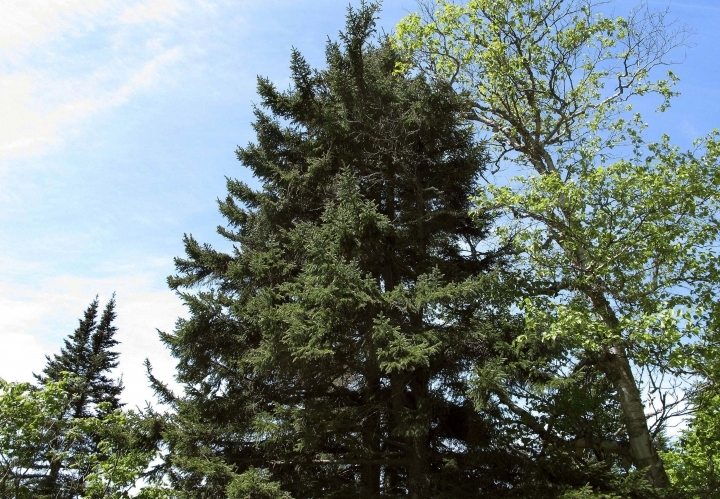 "Higher temperatures help some species and hurt others — right now, red spruce are benefiting, but they could be vulnerable to change in the future," Schaberg said.